Putnam County Playhouse: 50 Years Ago! PCPH IN 1967! We were first established in the fall of 1961 as the Greencastle Summer Theatre by a group of local theatre-loving citizens. GST was incorporated in 1963 as Putnam County Playhouse. The 1967 season opened with a musical revue with the theme "...Life Is" directed by James Elrod with musical direction by Peter Hill and choreography by Marie McKee. Performers in the show that was presented at Speech Hall included Lori Frederick, Peggy McClaine, and Jay Guiliani. Read the program HERE. 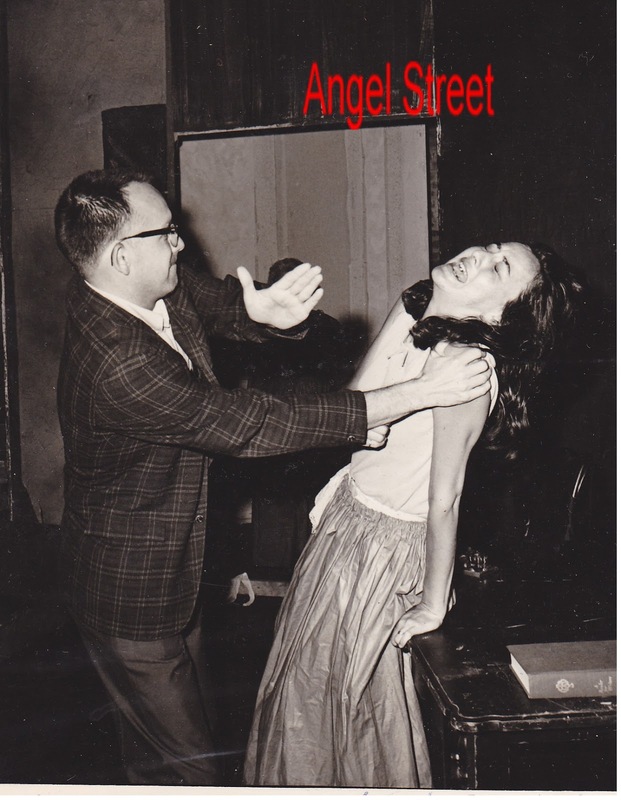 Next up was the mystery Angel Street. Directed by Marian Gifford with technical direction Larry Sutton and Charlotte Gilliland. Leading roles were taken by James Elrod and Barbara Meehan. Next up, Jim Poor directed Snow White and the Seven Dwarfs. 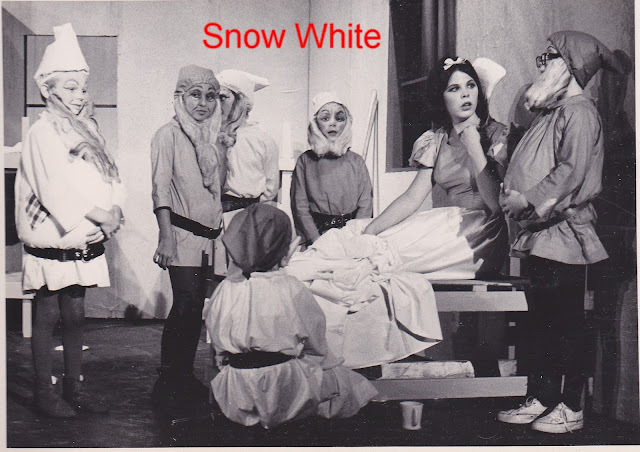 This production featured the PCPH debut of Vickie [Knoy] Parker. Musical director was Vera Andersen and choreography was by Vicki Grimes. Also appearing in the cast were Ron Snodgrass, Kevin Aikman, Pam Liston, and Sally Rickets. Larry Creech and Jacque Schafer. Next up, also at Speech Hall, was the Rodgers & Hammerstein musical Oklahoma! It was directed by John Van Meter with musical direction by Robert Haas. Choreographer was Jonie Skaggs. Leading roles were taken by Larry Creech, Catherine Bean, Jacque Schafer, and Don South. The comedy pair was played by Peggy McClaine and Alan Hux. 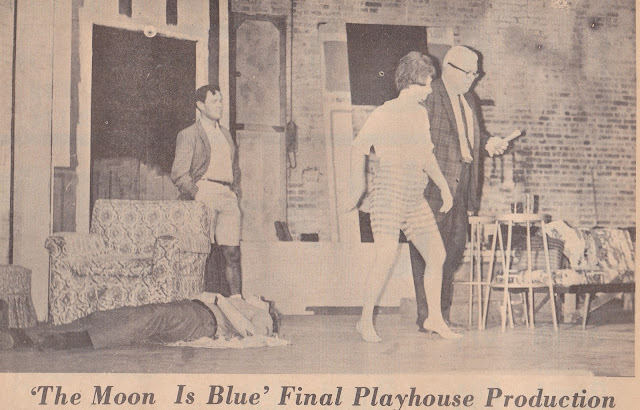 The season closed with a production of the comedy The Moon is Blue. It was directed by Robert Cole with technical direction by Peter Lach. The cast of four included Romilda Hamontre, James Elrod, Peter Lach, and Frank Livernoche.